Most of us don’t think about the consequences of what can happen when your vehicle is declared a write off by your motor insurer following an accident, fire or theft. A write off means that your motor insurance company has taken the decision that the vehicle is uneconomical to repair or can’t be found following the theft. When this happens your motor insurer will pay out what they consider to be the current value of your vehicle called “the market value”. Because all vehicles depreciate (some a lot quicker than others) this ‘market value’ could be considerably less than what you paid for your vehicle and could even be less than what you still have outstanding to pay on a Finance deal. 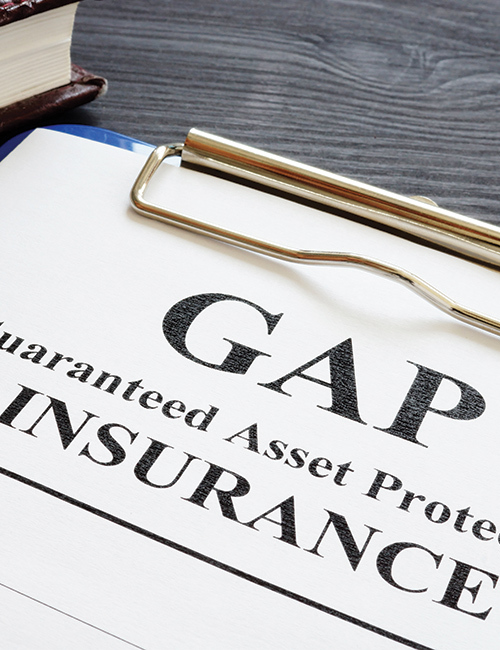 GAP insurance is designed to protect you against this financial loss. To get quote, contact our partner Choose Your Insurance by clicking the link below. *By clicking the link above you will be redirected to Choose Your Insurance, a third-party website. Quotations offered by an external website are on a non-advised basis and their terms and conditions of sale should be checked and agreed to before proceeding to purchase cover.